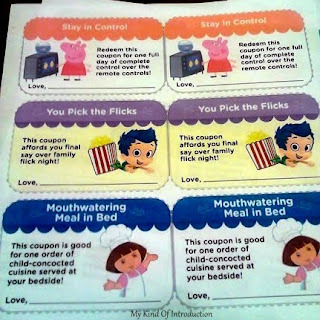 Today is Father's Day and if you haven't done anything for Daddy with your kids yet, Nick Jr has what you need!!! 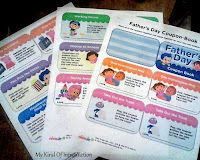 You can find all kinds of Daddy crafts with printables!! They're simply adorable and I even printed out a Father's Day Coupon book for my girls to put together for their daddy!!!! And I am in-love with Kai-lan's Father's Day Pop-Up Card! Nick Jr's Father's Day Crafts and Activities!